At the heart of all the new Kobalt 24V MAX tools is a new state-of-the-art, highly efficient brushless motor. According to the folks at Kobalt, the new brushless motor provides up to 10 times the motor life and 1.5 to 3.6 times longer run time, depending on the tool. To further maximize power and run time, Kobalt designed the new compact 24-Volt Max Lithium-Ion battery packs. They managed to squeeze those extra volts into a battery that’s not much bigger than the competition’s 18V and 20V units. The new tools have been rated to perform at temperatures from -4 to 140°F. Unfortunately, I HAVEN’T been rated for those conditions, so if you try them out at those temperature extremes, let me know how it goes. As you may know, International Tool Law requires all multiple-tool combo kits to include a drill driver and a flashlight. While that law is rarely enforced, primarily because it’s a total fabrication, I challenge you to find an exception. 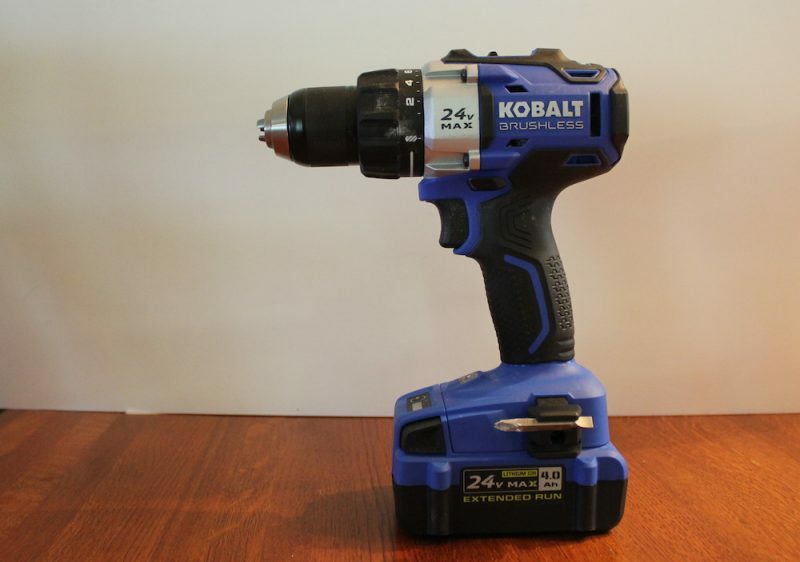 The Kobalt 24V MAX combo kit is in full compliance, with its ½” drill driver and flashlight. 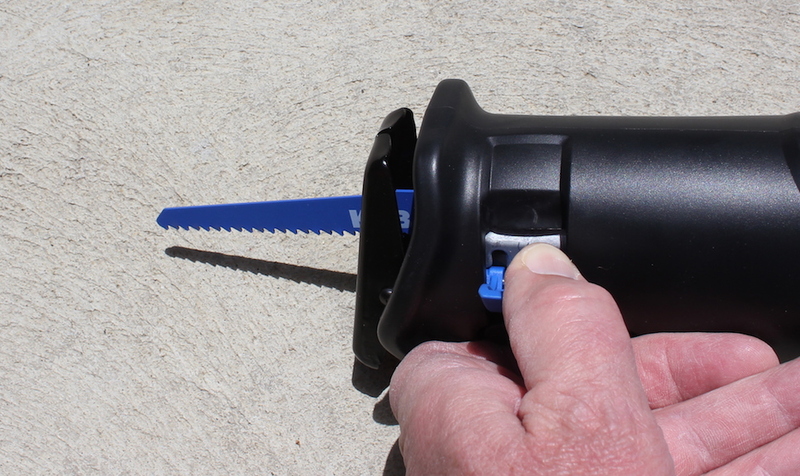 Rounding out the tool assortment in the box of Kobalt Blue are an impact driver and a reciprocating saw. But wait, there’s more! 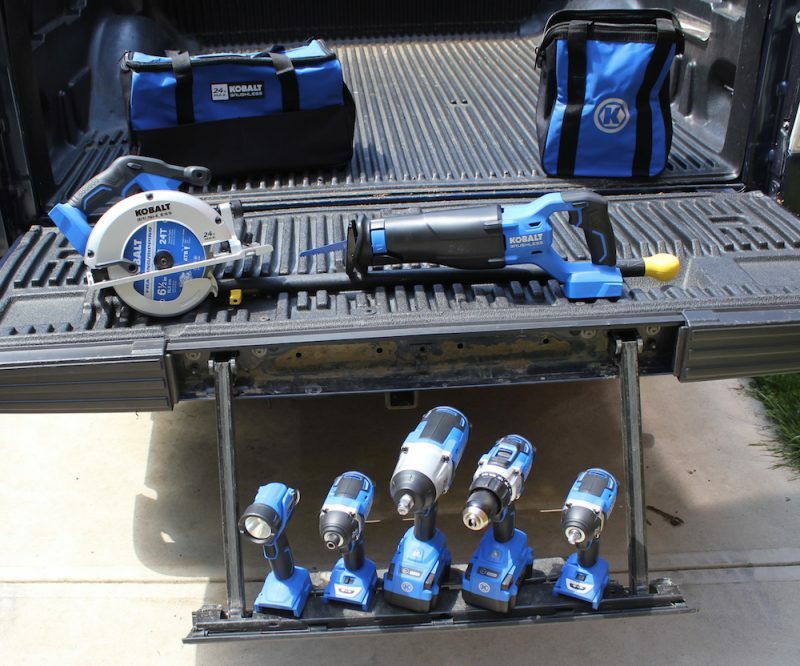 The set also includes a quick charger, a 4Ah Lithium-Ion battery, a reversible bit, a blade for the reciprocating saw, an auxiliary handle for the drill, and a contractor bag to schlep it all around in. 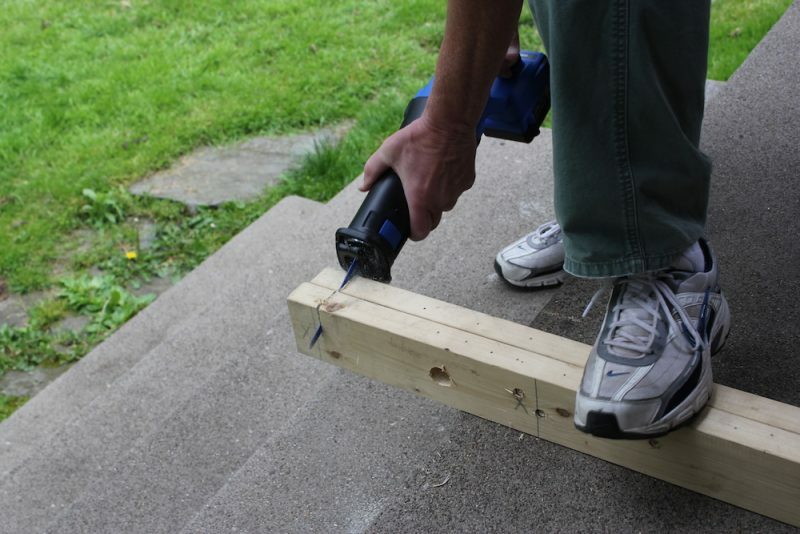 For the budget-minded, buying the combo kit vs. the individual tools saves about $170! The Kobalt 24V MAX drill has a thin rubber overmold, and is comfortable to hold. The typical push-through direction-of-rotation selector is simple to use. It’s also mounted up high enough that I wasn’t constantly bumping the tool out of gear, which happens a lot with some other drills. The two-speed gearbox allows you to dial in the right combination of speed and torque. Set it to 1 for slower speed and more torque, or 2 for faster drilling where less “oomph” is required. I set the switch to 1, chucked up a well-used 1” auger bit, and bored a few holes through a couple of stacked 2X4s. The drill powered through with no bogging down or other issues. Easily set the torque and speed combo you need. The adjustable clutch lets you fine-tune your drilling force, to avoid overdriving or breaking fasteners. I tried it with some drywall screws, and had good results with the dial set around 8. Since the hardness of wood can vary from piece to piece, or even within the same piece, it’s hard to dial it in precisely. The clutch gets you in the ballpark, though. 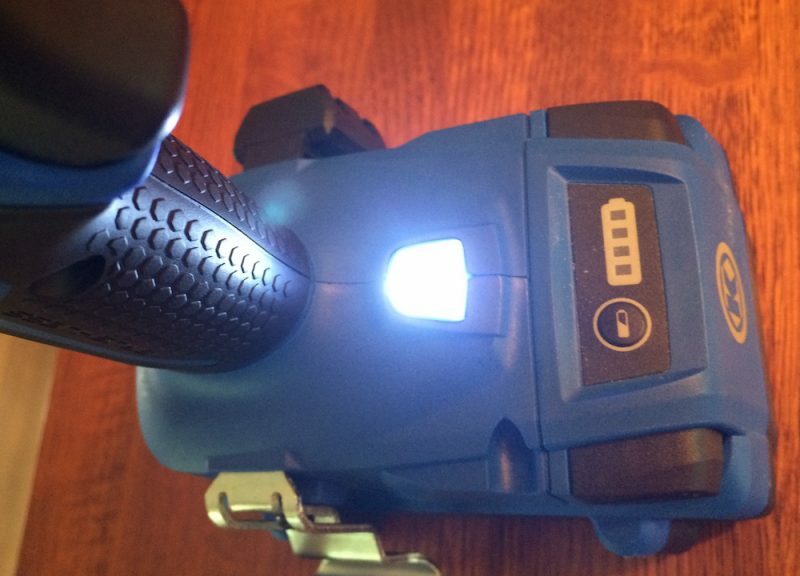 Like most pro-grade tools these days, the drill also has a built-in LED work light. It throws out a good bit of light, and is aimed pretty well. I prefer the ability to switch off the built-in lights, but incredibly, most toolmakers don’t seem to care what I prefer…no biggie. 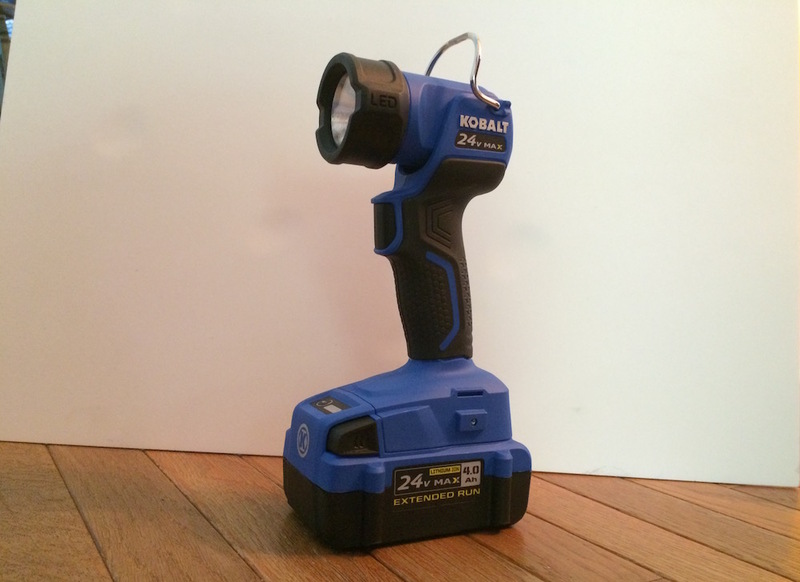 In addition to shedding light on your screws, the LED light on the Kobalt 24V MAX tools provides another public service. If it’s blinking slowly, it means you’ve been working too hard, and your battery is about to take a nap. If it’s blinking rapidly, it means you’ve been working too hard, and the tool has shut itself down temporarily to protect its internal circuitry. The common thread, in case you missed it, is you’ve been working too hard. Take a break! If the light starts blinking , that’s your cue to take a break! At some point, most of us need to go down – or up – into a dark, scary place. I’m not crazy about working in a cramped crawlspace or attic to begin with, but if I have to go in, I want as much illumination as I can get. Crawling through cat poop, or grabbing a sleeping bat or protruding nail, doesn’t enhance my sunny disposition much. The LED flashlight included in the Kobalt 24V MAX set is basic but bright. It’s very stable sitting on the floor, and there’s a metal hook in case you want to hang it from a nail. The lens rotates upward from just under a 90° angle to a bit beyond totally vertical (135° of movement). It does not rotate horizontally. You probably won’t need the instruction manual for this one – pull the trigger once, it turns on; pull it again, it turns off. Ready for the quiz? 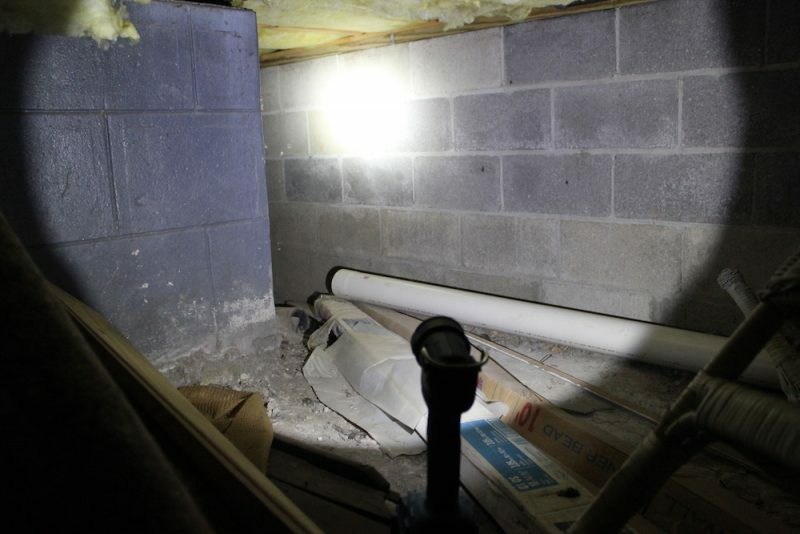 I took the flashlight into a totally dark crawlspace and fired it up. Its 200 lumens did a great job of lighting up the area, and keeping the demons at bay. Since some Lithium-Ion powered lights get very hot, I left the light on for 25 minutes, to see how hot it would get. The battery didn’t get warm at all, and the head got only very slightly warm. One of my favorite tools in this kit, and in general, is the impact driver. If you’ve never used one, I guarantee it will quickly become one of YOUR favorite tools. Impact drivers are relatively small, but they have the ability to drive large fasteners quickly and easily, without the wrist-snapping torque you get from a standard drill. Impact drivers make driving long lag screws easy peasy. The red, blue and yellow impact drivers, ready for their play date. 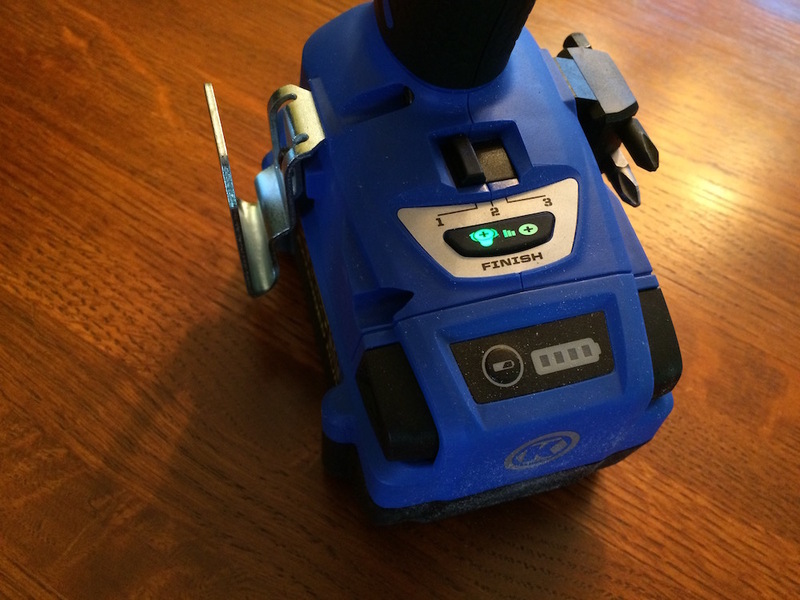 To see how the Kobalt would do against the other primary colors in the tool world, I pitted it against my DeWalt 20V MAX and Milwaukee 18V FUEL drivers. The Kobalt’s specs are right up there with its red and yellow brethren. It boasts an impressive 1,800 in/lbs. of torque, 2,700 RPM, and 3,500 IPM (Impacts Per Minute). The Milwaukee has 1,600 in/lbs. of torque, 2,900 RPM, and 3,600 IPM, and the DeWalt brings 1,500 in/lbs., 2,850 RPM, and 3,300 IPM. A word of advice – when using any impact driver, grab your hearing protection; these suckers are LOUD. 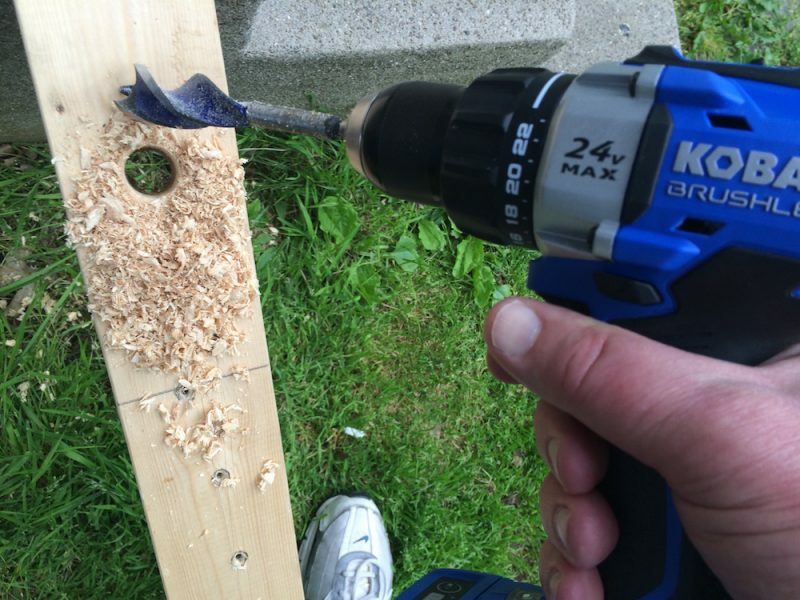 Driving a 6” Timberlok lag screw through four 2X4s took 7 seconds with the Kobalt 24V MAX impact driver, vs. 9 seconds with both the DeWalt and Milwaukee drivers. I did two reps, and the results were identical. Impact drivers have incredible power, and sometimes getting the fastener snugged up just right can be a bit challenging. 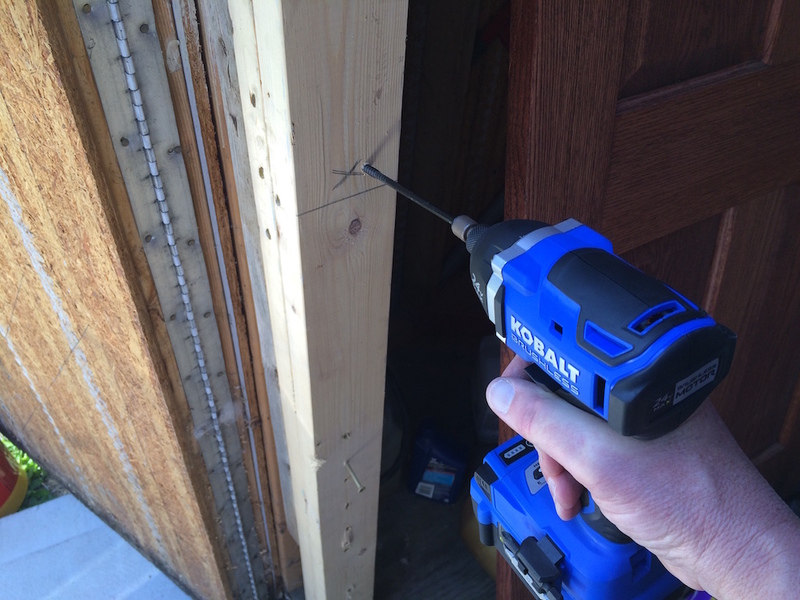 The Kobalt 24V MAX impact driver has a feature I’ve never seen before on an impact driver – the Finish Mode. If you’re driving drywall screws, or installing cabinet hinges with wimpy little brass screws, just activate the finish mode by depressing the soft-touch switch on top of the base. A little green screwhead icon lights up and stays lit as long as the feature is active. Finish mode works at all three speed settings, and stops driving the fastener when the tool magically senses it’s almost in. At this point, each successive depression of the trigger results in a very short impacting burst, lasting a second or less. The result? No overdriven fasteners or snapped dainty screws. I tried it on some drywall, and it works great. To exit finish mode, just depress the switch again. The driver returns to normal mode after 15 minutes of idleness – just like me! For pros, time is money, and being able to make adjustments and do blade changes without tools is pretty much mandatory. The Kobalt 24V MAX reciprocating saw delivers – blade changes and shoe adjustments are both quick and tool-free. To insert a blade, just pull up the blade-release lever, push the blade in, and release the lever. Reverse the steps to remove it. Having an adjustable shoe serves a couple of purposes. It can help to control the depth of cut when you’re trying not to plunge too deep; having a demo blade go through an interior wall and chew a hole in the siding may not be a desirable outcome. It can also help extend blade life. When you’re making repeated cuts up against the shoe, moving it out a bit exposes some fresh teeth to destroy. The process is easy – flip the shoe clamp lever down, slide the shoe in or out, flip the lever back up. And slide the shoe to its new home. I slapped in the included blade, an aggressive 6-TPI bi-metal blade, and grabbed a couple of 2X4s screwed together. 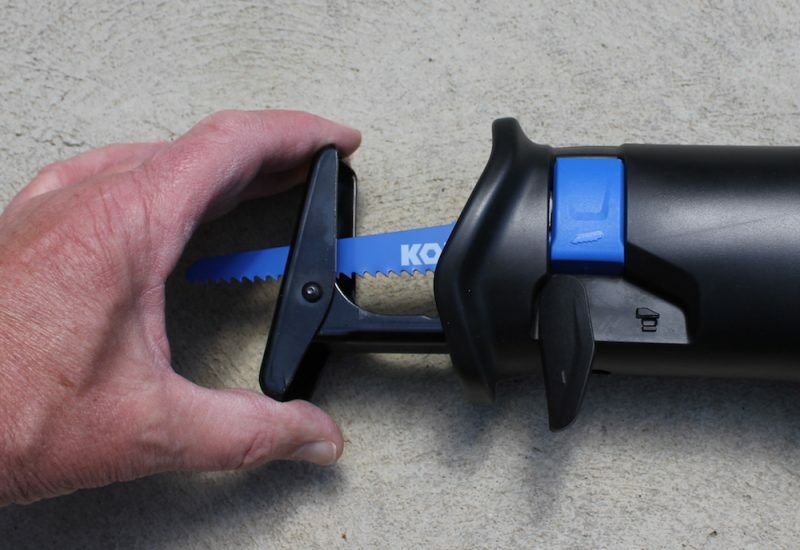 The Kobalt 24V MAX reciprocating saw powered through several cuts easily. 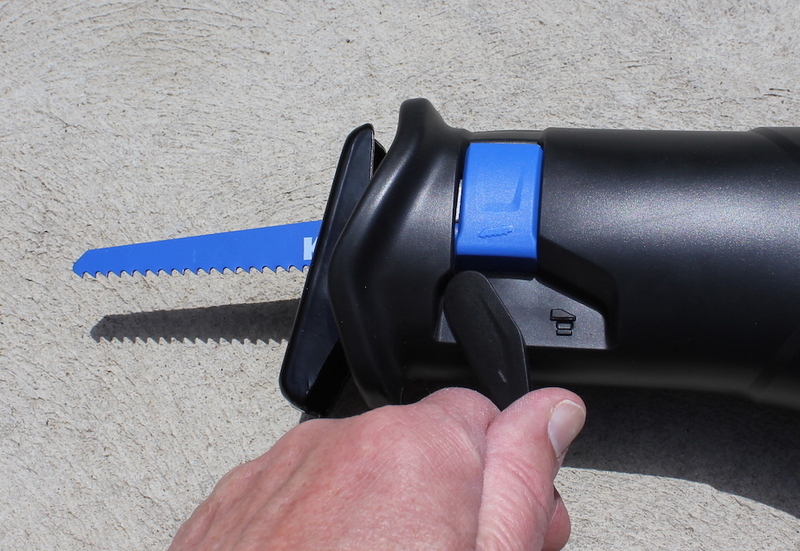 Reciprocating saws are designed to do rough work, cutting through wood, steel, wiring, PVC or metal pipes, and just about anything else that gets in their path. 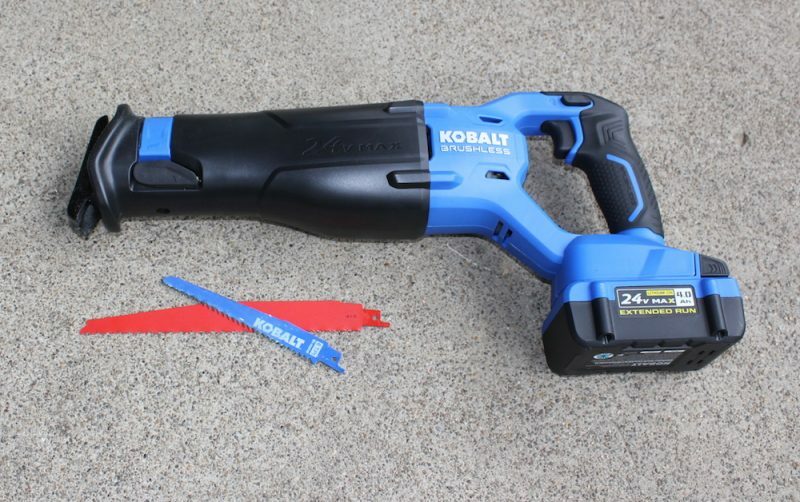 The Kobalt felt smooth and powerful, like it could handle any and all of the above, and the vibration wasn’t bad at all for a reciprocating saw. Ready To Get The Blues? 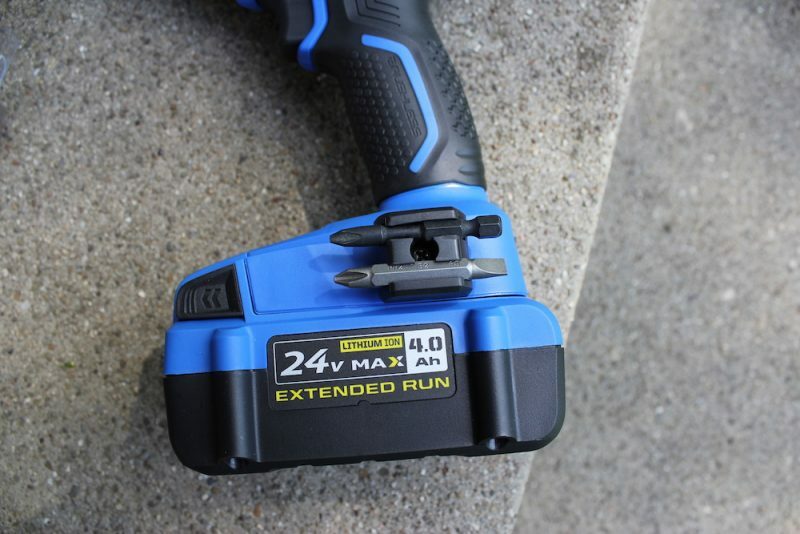 The new lineup of Kobalt 24V MAX tools is well designed and attractively priced. The tools appear to be of good-quality, with all the features pros look for when they’re investing in new tools. During the limited testing I did, the tools matched up very favorably with their pro-grade competition. In addition to producing durable tools, the designers at Kobalt nailed some of the small details that make a big difference in usability and user satisfaction (for this user, anyway!) 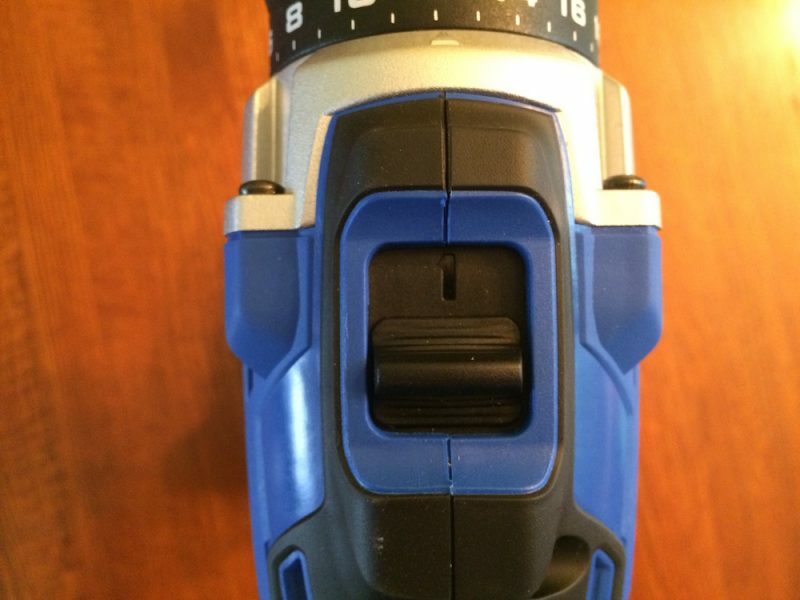 One of these is the inclusion of both belt clips AND bit holders, giving the option of using either or both on the impact driver and drill driver. I have gone off on rambling rants in the past about the lack of bit holders on many tools, and I’m happy to see they included this very useful little accessory. And that’s my two bits worth. On the wish list? Nothing major. 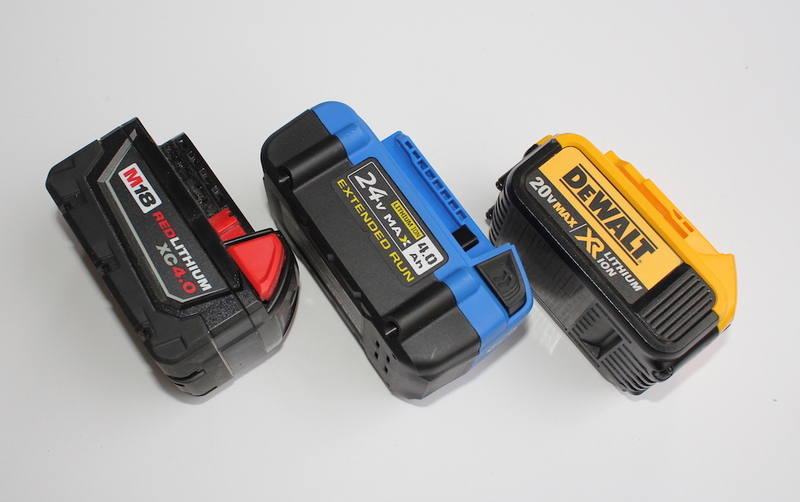 It would be nice to have two batteries in the four-tool package, so as to not have to constantly swap the lone battery in and out. And if you need the flashlight, your tools go powerless. Their previous four-tool combo kit had one compact and one full-size battery, and that would be a great enhancement to this kit as well. 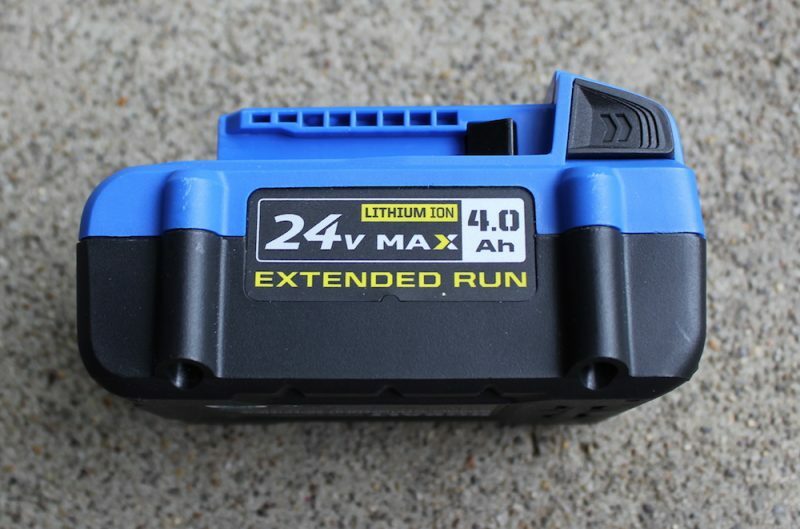 Not a huge deal, though – extra Kobalt 24V MAX batteries are cheap enough that you can afford to stock up. Everyday pricing for a 2.0Ah battery is a dirt-cheap $20! The 4.0Ah battery is $50, and in the world of Lithium-Ion batteries, that ain’t bad. A 5.0Ah battery is on the way, with expected pricing around $80. Another small improvement would be the addition of some adjustable dividers for the contractor bag. Some stiff pieces, with Velcro on the ends, would help keep the four tools, battery and charger from becoming a jumbled mess. Not a huge deal; I left the cardboard shipping dividers in, and so far so good, but they’re starting to self-destruct. A slightly larger, beefier bag would also help; once you get belt clips attached and throw in a couple of batteries, it’s heavy, and a bit of a challenge to fit everything in. There are slim pockets on the outside; adding pouches with flaps for storing bits and blades would also be a hit. 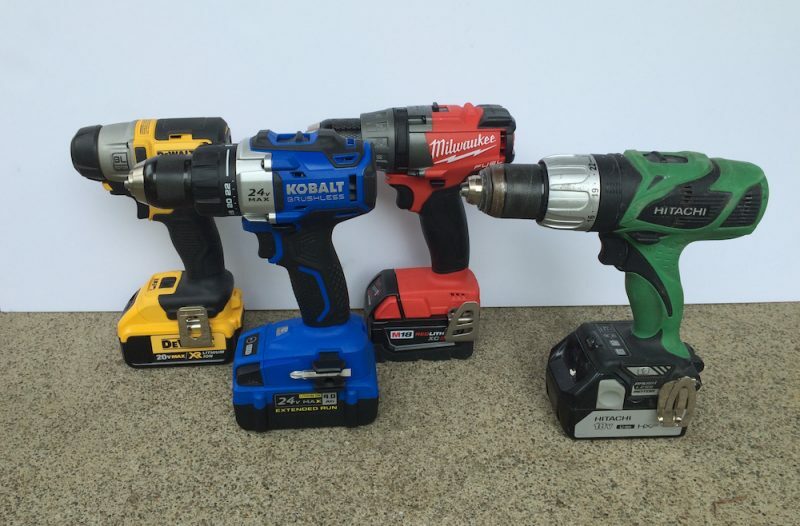 The Kobalt 24V MAX Lineup – Enough Pros For The Pros? In their quest to crack the pro market, the folks at Kobalt have their work cut out for them (luckily they have that beefy reciprocating saw to get them started!) Most pros and serious DIYers have a preferred brand, and many are fiercely loyal. It may be a tough sell for someone who has hundreds, if not thousands, of dollars invested in one brand of tools, batteries and chargers. Tools wear out, though, and users who have a bad experience become disenchanted. And there are new users constantly entering the market, looking for rugged, reliable, cost-effective tools. One feature that’s sure to impress the professional user is the outstanding warranty. 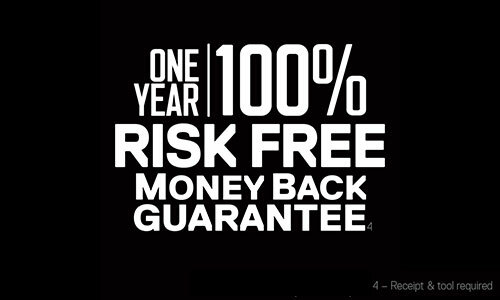 Kobalt tools are backed with an unheard of 1-year, 100% money back guarantee, a 5-year limited tool guarantee, and a 3-year limited battery guarantee. The ability to try out these tools risk-free for a year is likely to convince a lot of skeptics to give them a try. Tough to beat the guarantee! 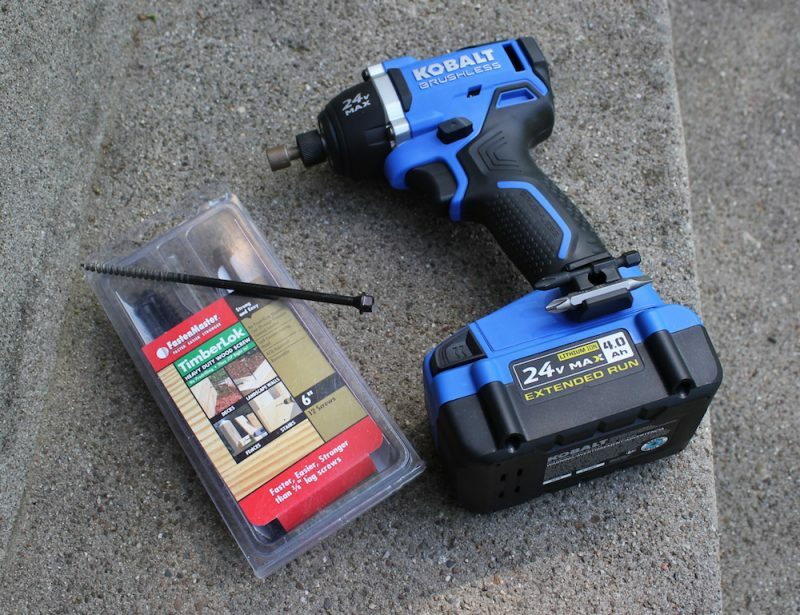 As an added incentive, Lowe’s will be holding a Trade-In Trade-Up event June 8 – July 18 (2016), where customers will receive an additional 24 percent off the purchase of any Kobalt 24-Volt Max cordless power tool when trading in any cordless power tool. 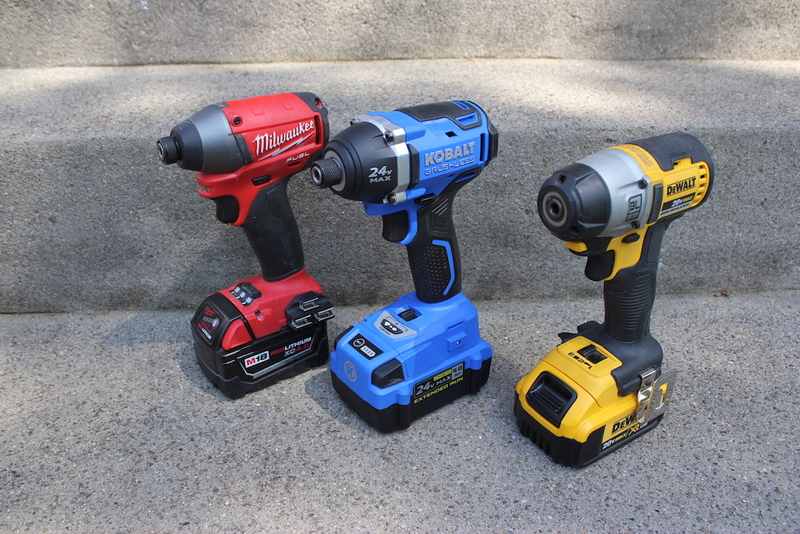 I suspect we’ll soon be seeing more Kobalt Blue joining the red, yellow, green and (Bosch) blue on the jobsite. 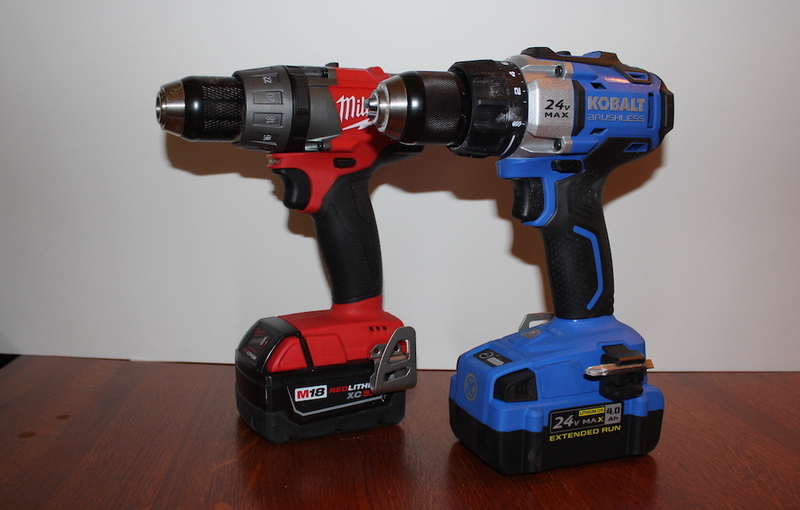 The whole Kobalt 24V MAX family – so far! Spot on man! After the first time using my impact driver, I’m in LOVE! When my 1/2 drill driver can’t remove screws without trying to strip the heads, I use my impact driver and it removes anything without hesitation. Also, I wish you could turn off the led light. can get annoying but oh well. 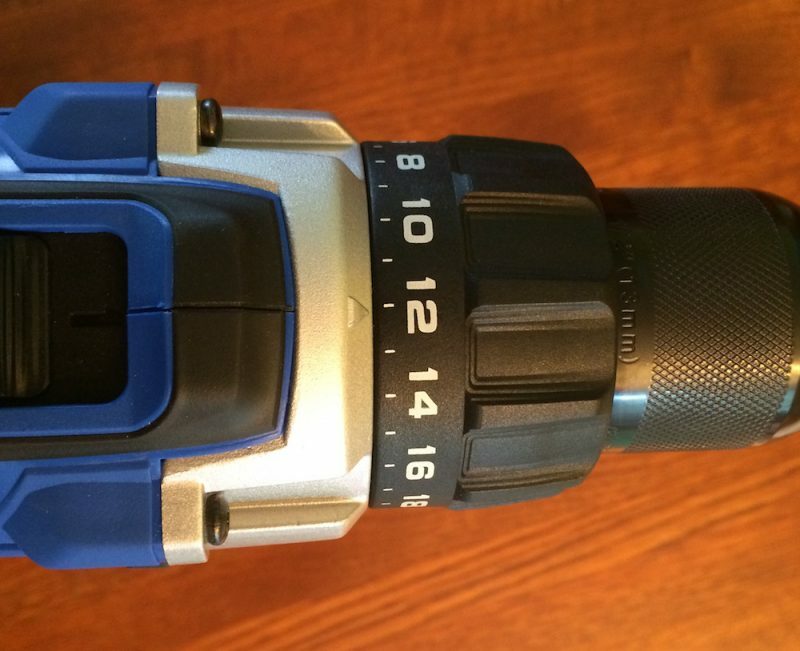 One thing I noticed is that the finish mode on my impact driver blocks the speed control triggers. The driver will just go to max or off regardless of trigger position, and this is true to ever speed setting. So if you want to drive screws at a slower rate, you’ll need to select a different speed setting. I’ve been a Hitachi & and Milwaukee man, but my new 1/2“ impact wrench is awsome. It’s way less than the cost of the Milwaukee! I’m going to get more blue! Looks like Kobalt is ready to prove that they are no jokes. More power in same battery size, amazing! Interesting – the batteries keep going up in voltage…. Yep. And beefier batteries, combined with brushless motors, equals longer run time and MORE POWER!